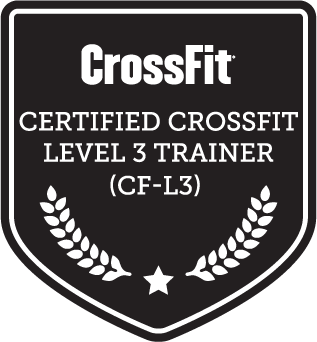 THE ONLY LEVEL 3-COACHED CROSSFITS IN WAYLAND/SUDBURY and ACTON/CONCORD AREAS. Many new to CrossFit tilt their heads and ask why does this matter? Well, this matters because it ensures that your safety and your fitness goals are priority one. The Level 3 coaching distinction can only be achieved through thousands of hours of academic study and practical application of CrossFit principles, which span nutrition, gymnastics, metabolic conditioning, weight and endurance training. In other words, you’re in good hands. So don’t settle for less when it comes to your or your family’s well being. Do your homework and compare… not all CrossFit gyms are created equal. Click HERE for an easy-to-use guide for choosing a CrossFit gym. …where we prioritize fitness, nutrition and community. At its core are one-hour, group workouts of constantly varied, functional movements performed at relative intensity. We modify workouts to accommodate persons of any age and any ability. We believe in the relentless pursuit of your better, both in the gym and out. Our mission is to build an inclusive and supportive community to help our clients make balanced, sustainable progress towards their health and wellness goals. We we have built that community with the most experienced coaching staff in the business. Start with a FREE TRIAL to see for yourself! Try our FREE WEEK trial to see if Daybreak CrossFit is right for you. Come meet our members, our coaches and get a taste of new, interesting and exciting workouts. And, no, you don’t have to “get ready” to come see us! Our program is designed to accommodate all fitness levels. You CAN do CrossFit!